I make a mix of props and centre piece imagery for a variety of uses. 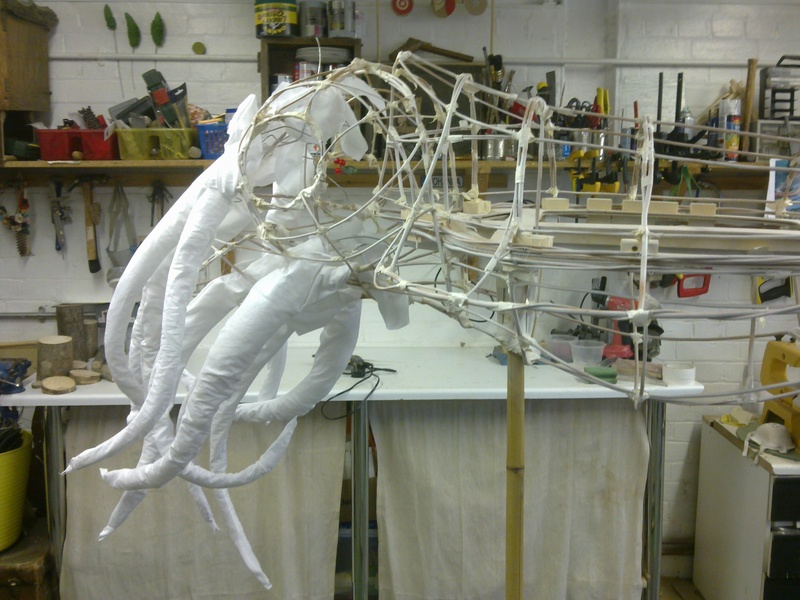 I am particularly interested in working with wood/natural materials and I enjoy engineering and creating automata. 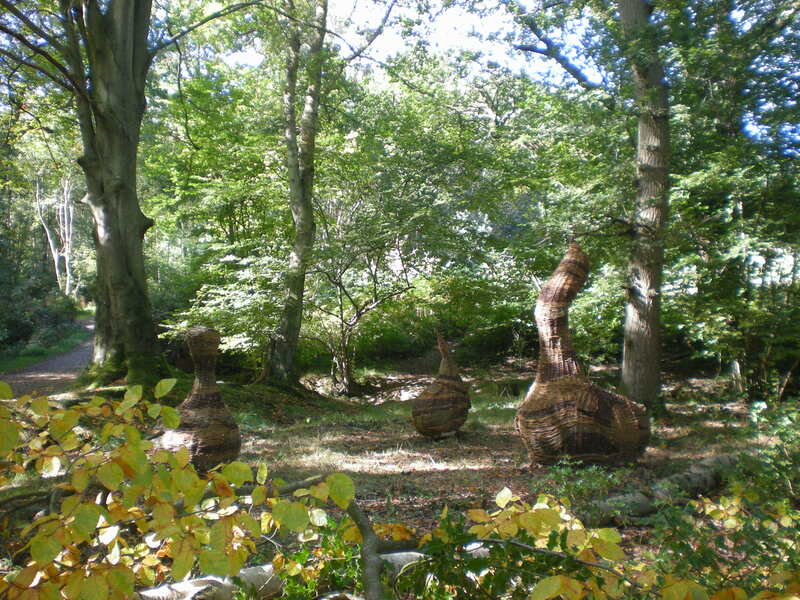 When I’m not making things to commission I make willow baskets and sculptural items. They have coloured lights in them that can be programmed to change on demand and follow patterns. 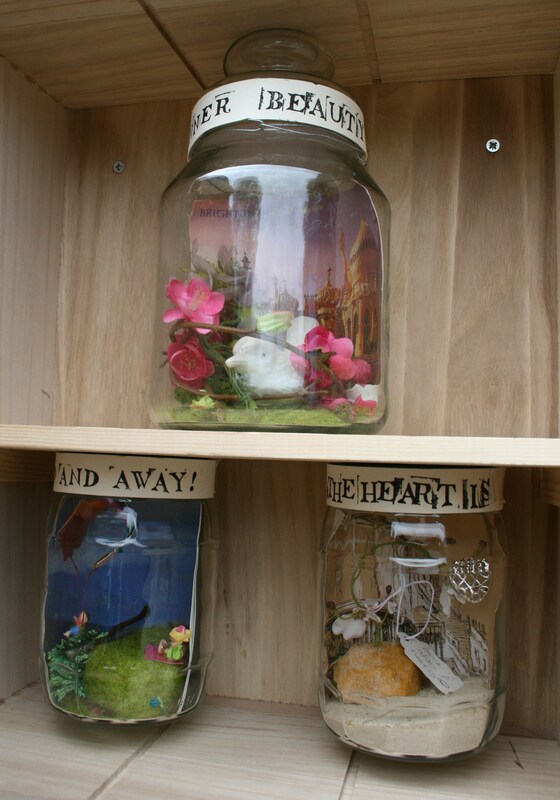 Recently the first two that I completed were used as part of the Herne Bay Festival. Credit to Adrian Bennett for the two photos below that he took while at the festival. More images can be seen at Same Skys facebook account. 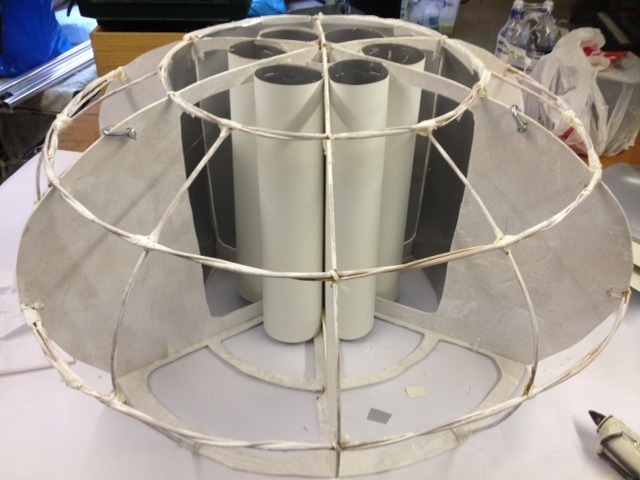 I will add more pictures when I have them of the coloured sections working independently and also the spot tubes of colour which are visible from above the lanterns. 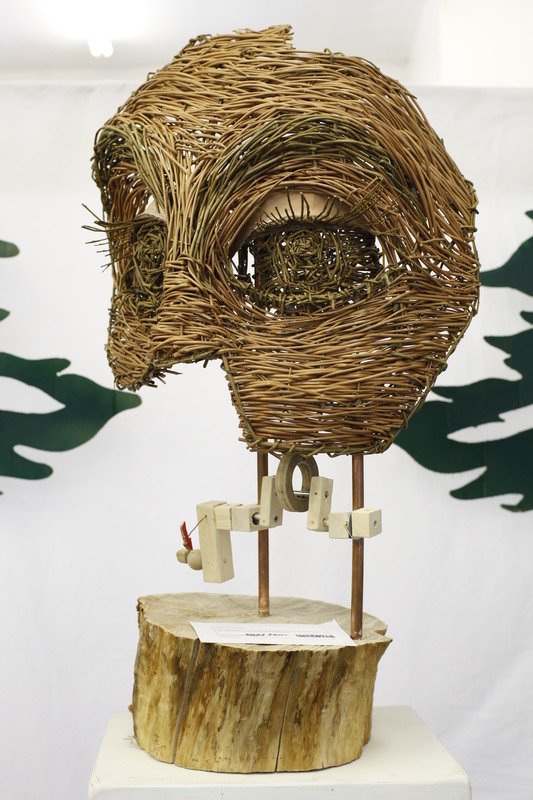 This is a hunting trophy head of a stag made from brown willow with wooden antlers and pine cone eyes. 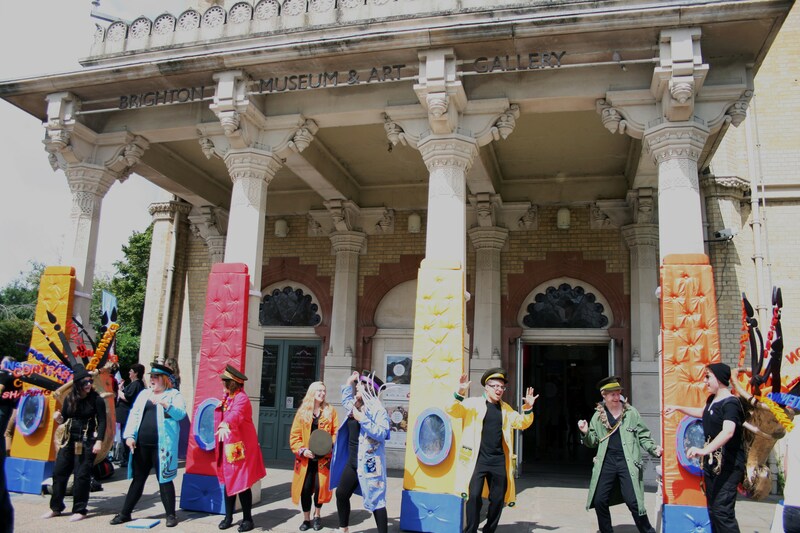 Same Sky commissioned Jo Coles (100w artist) and myself to create some costumes and 4 pillar facades to help launch the New gallery called World Stories at Brighton and Hove Museum. 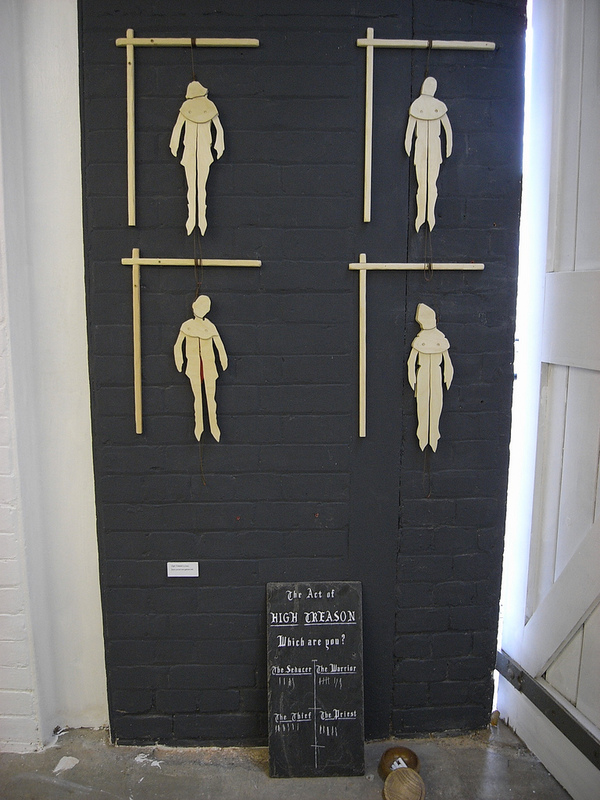 We were asked to work with young people who were involved with the design of the Gallery. 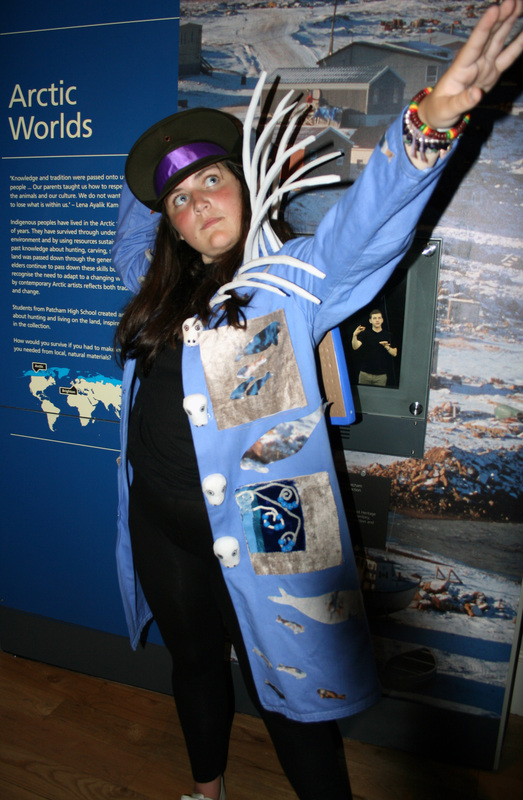 We were also asked to reflect in the costumes and pillars the pieces in the gallery itself. The photos below were all taken by Same Sky. The young people that performed in the costumes on the day of the launch really worked hard to entertain and inform the general public. Jo and I thank you for bringing the costumes to life. Also thanks to Shan Isherwood and Sharon Mee for being in the making team. 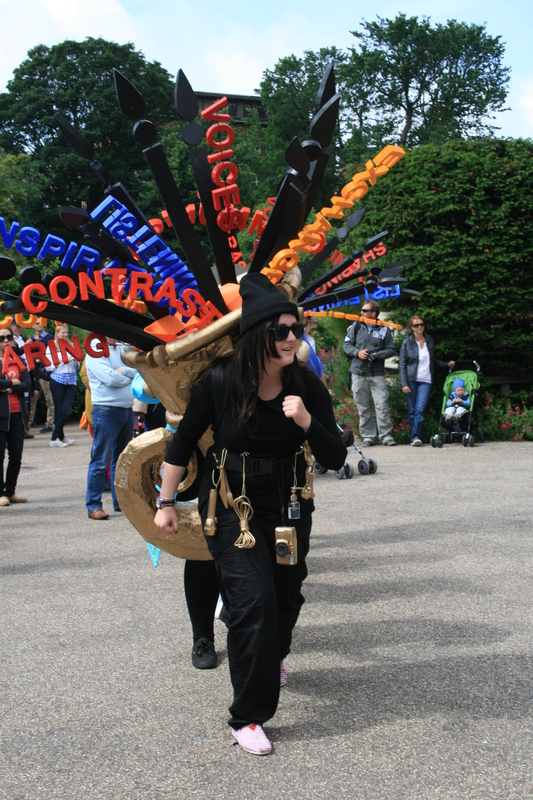 The Basingstoke Bird Automaton was created for The Making and their 2012 World Party in the Park. The Bird had a specially commissioned story/story teller that told an imagined tale to explain why the bird had landed in Basingstoke and where it was going next. When you turn the handle the wings flap. This maquete head automaton opens its mouth and raises a flower in a ‘her’ hair. It’s an idea for a bigger piece. 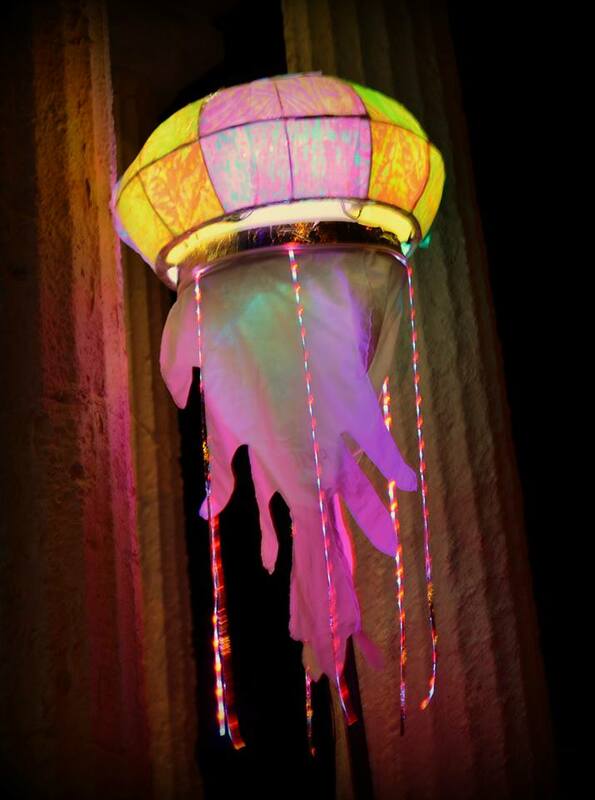 This cuttlefish lantern (made oct 2011) was a commission for John Varah from Same Sky. 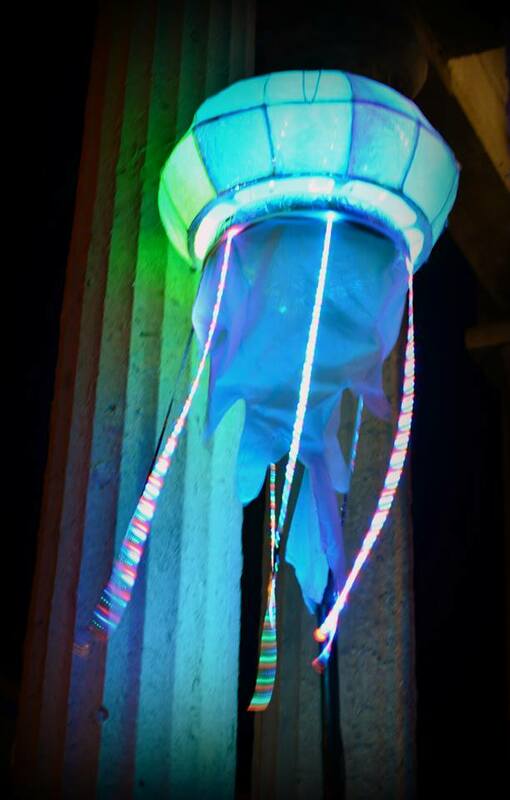 He was looking for an object to experiment on with a new form of LED lighting system. The lights can be programmed to change on command. 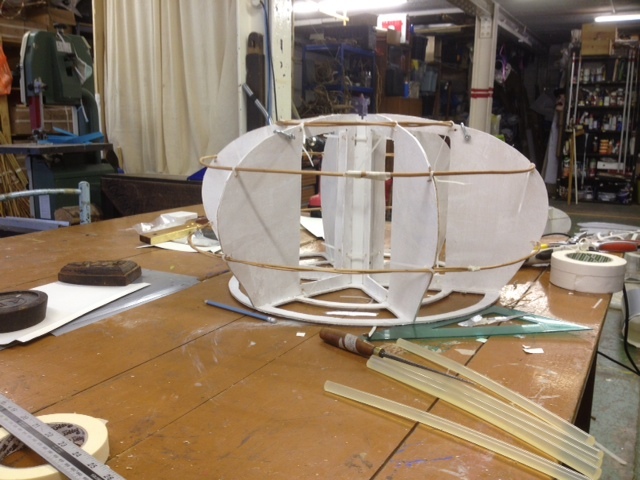 I made the cuttlefish so it was easy for a lighting technician to play with: the back is hinged and it opens like a shell. It has fixings included so it can be hung or put on a stand. I like the idea of making a few of these cuttlefish swimming in a constant state of changing colour. 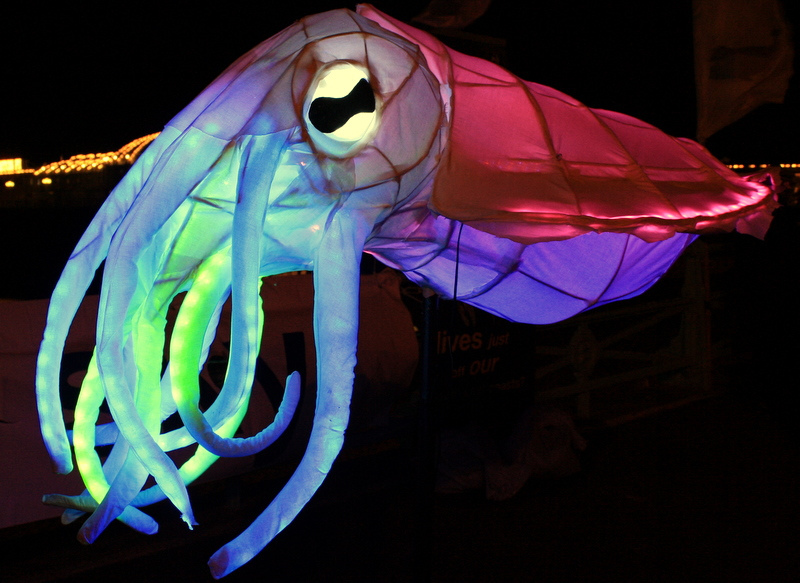 I can also imagine that with sensors attached the cuttlefish could change colour responding to movement or sound – very exciting.